Hello again, fellow nail lovers! 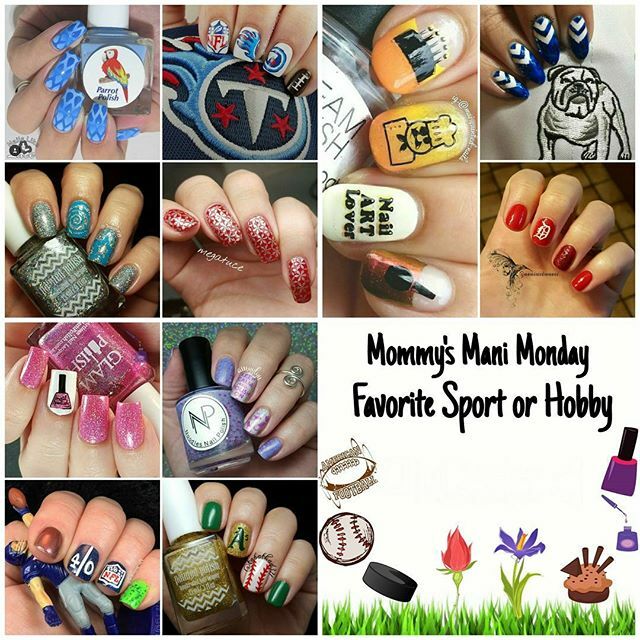 The Mommy's Mani Monday theme for September 21st was "Favorite Sport or Hobby". Well, besides the obvious...I love many things! Which one would translate well to my nails, though??? I thought about it for a few minutes, and the one thing (besides polish) that kept popping into my head was my love of hockey! Detroit Red Wings hockey to be exact! The ideas started running circles in my head, but I just couldn't imagine a hockey puck and stick translating very well to my nails. Especially with my limited freehand abilities. I've wanted to put an old English "D" on my nails for so long, but have yet to acquire a stamping plate with said letter on it. So...I did it freehand, to the best of my abilities, that is! 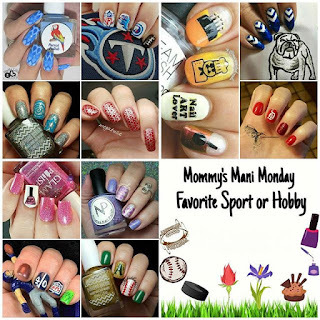 Mommy's Mani Monday: Favorite Sport or Hobby. Go Wings! And here is the collage! Great job, ladies! Thank you! I was so scared of that silly "D"...haha! Great job! I love hockey too! You did great on that D! Very cool mani! I think that D is awesome! I don't think I could do that! Thanks! I was pretty scared...haha! I think you did an absolutely amazing job on that "D" !! It looks phenomenal! Your freehand is great! Cute mani! 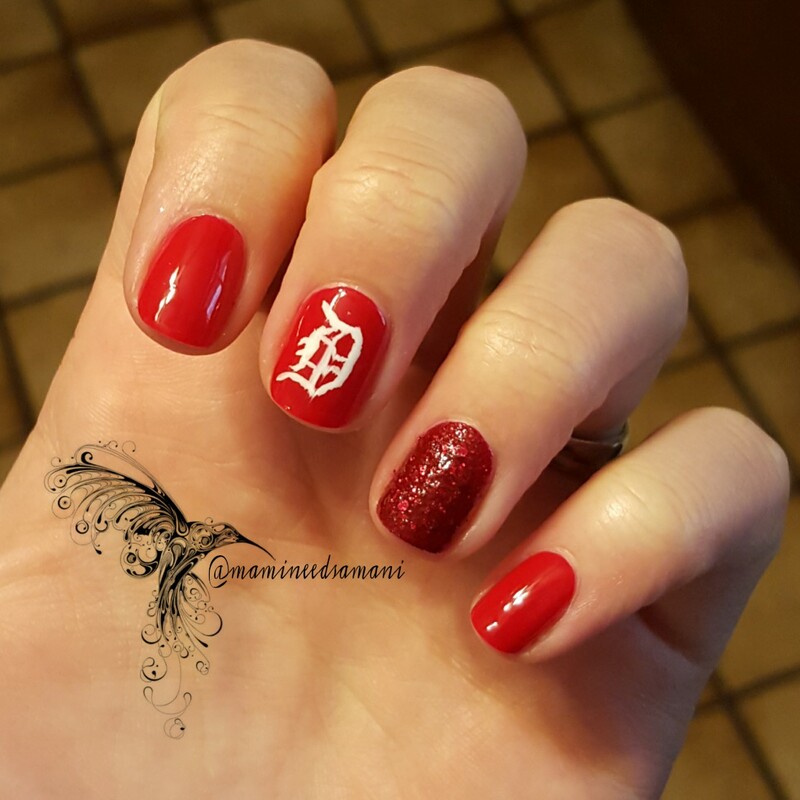 Not a sports person, but adorable mani! Booooo Rangers! Just kidding...haha! Thanks! That freehand is amazing! It looks great!